Spaniard Jonathan Castroviejo and Italian Giovanni Visconti have extended their contracts with the Movistar Team for two more years, both having joined in 2012. 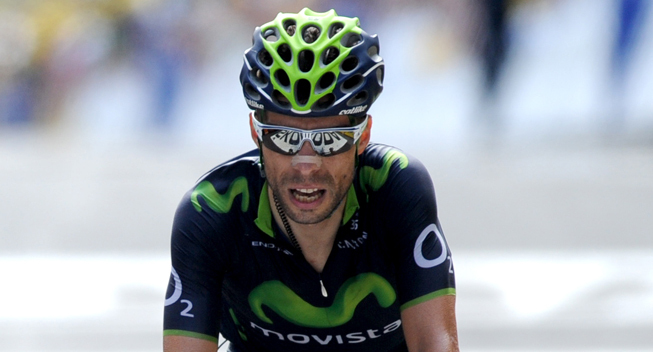 Movistar have annonced that they have extended the contracts with two of its key riders. Time trial specialist Jonathan Castroviejo and multiple Giro stage winner Giovanni Visconti will stay with the team for the next two years. Spaniard Jonathan Castroviejo and Italian Giovanni Visconti have extended their contracts with the Movistar Team for two more years, both having joined in 2012. They have become crucial pieces in Eusebio Unzué's structure, combining individual success with massive teamwork for their leaders in the biggest races of the calendar. Castroviejo, 27, has become one of the highest regarded domestiques for three-week stageraces, thanks to excellent performance in his last appearances in all Giro (2014), Tour (’13) and Vuelta (’12). His increasing efficiency in the mountains is complemented by his natural talent for time trials. In turn, Visconti, 31, recovered almost miraculously from a tibia fracture sustained in his first competition of the year in Australia, getting into top form just for the Tour de France, where he came close to a stage victory and played a crucial role in the mountains. He's a versatile rider, who won two stages of the Giro last season and has shone all over his already long career - 10 years as a pro.